This is the first I've seen of this particular Swirl pattern. 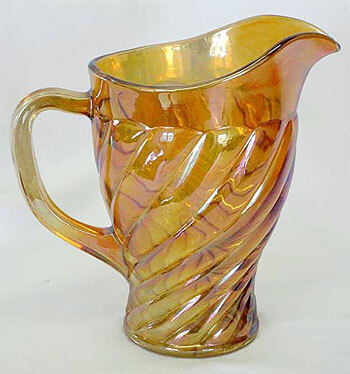 In marigold, this milk pitcher sold in 2009 for $105. Photo courtesy of Seeck Auctions.